Organic and geometric designs in brushed sterling silver that are both feminine and timeless. This line is brought in all the way from Istanbul, Turkey from family owned and operated workshop ran by a husband and wife team with a creative vision. A second generation family run business specializing in an elegant and fashionable line of diamond, pearl, and precious stone jewelry. This line is for the lady with discriminating taste. This product is American made. Hand-enameled & sterling silver designs. Flora and nature are the signature theme of this colorful collection. This jewelry collection showcases contemporary and accessible designs crafted in a variety of appealing metal finishes and often paired with unusual and interesting gemstones. Custom wedding bands in alternative metals. This American made line is perfect if you are looking for a one of a kind wedding band. With a great product selection and lifetime warranty, it makes it the perfect choice for your special day. 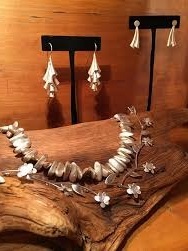 100% recycled aluminum jewelry made in NYC with great style in tones of brushed silver and gold. This collection is light weight and eco-conscious . Perfectly Matched with Her Dreams. 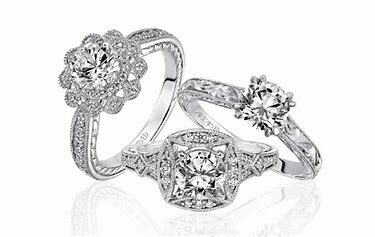 We can help you customize the perfect engagement ring to fit your style.